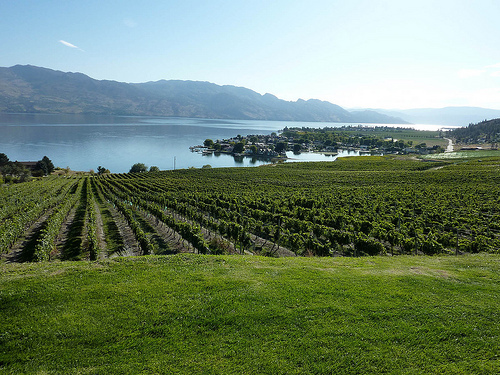 Did you know that British Columbia is a growing wine region with hundreds of wineries? Chances are you’re aware, but not familiar. Many wine enthusiasts are aware that a wine industry is developing in this Canadian province north of Washington State, and yet almost no one outside of British Columbia (BC) can access these wines, significantly impairing familiarity. Within the province, as growth tempers itself against opportunity, a debate rages about the high cost of the wines, their accessibility to those living outside the province, and the future of the industry. In this article, I will examine the reasons BC wines are expensive and difficult to find, and what the industry should consider doing in removing the barriers to access that currently make it impossible for non-residents to taste the wines, the delicious wines. To understand where the BC wine industry is now we have to understand where it came from. This is best illustrated by looking at a recent controversy that made it to the pages of the international news magazine The Economist while also being covered by wine luminary Jancis Robinson. The controversy begins with wines sold in Canada and labeled as “Cellared in Canada”. The government monopoly retailers were promoting and selling these wines as Ontario or British Columbia wines, despite being made with imported grape juice from places like Argentina. This issue alone became a flashpoint when the official Olympic wine for Vancouver’s 2010 Winter Olympics was a “Cellared in Canada” wine. The controversy became heated to the extent that the producers of the Olympic wine were pressured into bottling a wine that is now made with 100% BC grown grapes. 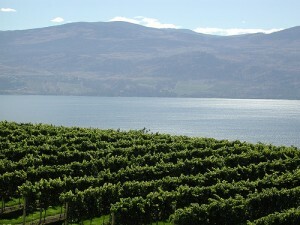 This controversy has roots prior to the “free trade” era of Canadian wine, before the ratification of the NAFTA and GATT trade agreements, when it was common practice for local wine makers to blend internationally sourced fruit with Canadian fruit and a “splash” of water in order to sell the resulting wine as a British Columbia or Ontario product. As the North American trade lanes opened up, a simultaneously occurring government sponsored vine replanting program resulted in widespread plantings of European vitis vinifera varieties (Merlot, Chardonnay, etc.). Winemakers who wanted to emphasize that they were making wines from 100% locally grown grapes developed an organization that would certify the authenticity of these wines. Known as the Vintners Quality Alliance (VQA), this organization guarantees the origin of Canadian wines. With the advent of the VQA and the planting program, BC wine producers started to focus on quality. Yet, this was only the beginning of the story. Over the last two decades wineries have had to experiment (mostly at their own expense), in discovering how best to express the local “terroir”, or soil and climate conditions tied to geographical place, and to discover the best way for BC to find its wine identity. As a young wine region it is still experimenting with varieties and styles. And, this experimentation is expensive. Unlike a region such as Bordeaux, BC wineries do not have hundreds of years of tradition to rely on and capital costs have not been borne by their ancestors. Simply, BC has yet to find its parallel to Oregonian Pinot Noir or Napa Cabernet Sauvignon. Another troubling growth challenge is land cost. Land in the Okanagan Valley (BC’s main wine region) is cost prohibitive with planted vineyards cost estimates at $150-$180k per acre. Comparatively, vineyards in South America or Australia can be as low as $5000 an acre, and even Sonoma County vineyards, with their beautifully sunny climate, old vines and established reputation, can be purchased for between $70k to $90k per acre. Next door in Washington state it is possible to buy vineyard land for $10k to $20k per acre. And, lest we forget, many of the wineries in Europe have been passed on from generation to generation within the same family, meaning the land was bought and paid for yearsago. Climate and labor costs also drive up the costs of BC wines, with manual labor costing $15 an hour in BC, and cold climate conditions forcing the replanting of many vines damaged by frost. This back story on BC wine culminates in the simple notion that if you are a non-resident of BC you might wonder why you can’t find BC wines anywhere. The reason is simple: Government regulation makes it nearly impossible for anyone outside of the province to find and taste the wines. At the end of prohibition, the Canadian federal government enacted the Importation of Intoxicating Liquors Act, which makes it illegal for BC wineries to ship their wines across provincial borders and sell them to consumers in other provinces. Instead, the government gave complete control of distribution to provincial monopolies. This very difficult situation exists because of an outdated bureaucracy that is more interested in protecting itself and its views of how to build revenue than it is in growing a local industry, creating an efficient modern distribution and licensing network, and increasing the revenue poured back into government coffers. Without reform of this system, BC wines will continue to be nearly impossible to find. Al Hudec of the BC law firm Farris, Vaughan, Wills, and Murphy LLP calls the current state of affairs, “an 80 year hangover from the end of prohibition” that hampers the growth of the industry. Given the archaic laws governing the distribution and sale of wine in Canada, it is not surprising that British Columbia’s wines haven’t seen the light of day outside of the province. This is a huge shame, especially given the ever increasing quality of the wines, and the increasing interest of international wine media. Consumers in Canada need to start speaking vocally about modernizing BC’s antiquated distribution and licensing system, and consumer’s abroad need to keep asking for BC wines. Please keep asking for BC wines. Perhaps with the upcoming 2010 Olympics in Vancouver, the world will finally get the chance to taste some of BC’s exciting new wines and see just how much potential there is for great wine in the province. Maybe then, with local and international pressure, the wines of BC will make it out into the greater world, and BC will begin to find its place in the story of wine past, present and future. Shea Coulson is a Vancouver, BC based lawyer who writes the wine blog justgrapeswine.com, a blog dedicated both to building the local industry and educating readers about the story of wine. Just Grapes Wine Blog’s mission is to foster niche communities of both newbies and wine enthusiasts by taking the ego out of the wine world, exploring new and exciting wines and regions, and promoting a passion for discovering one’s palate. Great article, Shea! I tend to forget the role the youth of our region (and the resulting experimentation) plays in the price and availability of our BC wines: thanks for reminding me. This is a good explanation about why the BC wine biz is unlike any other in the world. I have a question, though. Were the land prices always this high? Surely, the early planters of the mid ’90s didn’t pay 150-180k acre. When I was scouting real estate in OKV in 2003, one could buy a house and a few acres on Naramata Bench for $300K. Aren’t the current inflated land prices a result of opportunism by sellers cashing in on the modern grape craze? More background, please. You are right about the youth of the BC wine industry, we are just getting started. But while BC’s (and Canada’s) distribution laws are antiquated, it’s too easy to just blame the “outdated socialist government” that we may (or may not) have. There are plenty of states in America that have the same kind of monopoly system in place. The two biggest reason that BC wines aren’t exported is that we don’t very much of it, and that we drink it all. With less than 10,000 acres of vineyard land and just over 160 wineries (most of them small, boutique style wineries) we just don’t produce the volume that would allow us to export, even if we wanted to. In terms of production totals, Canada as a whole usually ranks somewhere close to Uzbekestan in total volume produced. A comparison I remember hearing is that Gallo in California as a _single tank_ that holds more wine than every drop that BC can produce in a year. Plus, the wine-savy Vancouver market has been behind the local industry for the last decade and has been graciously buying everything without much fuss. Why should a small winery take on the added shipping costs and expenditures to send their wines further out when most of the product is purchased locally? That’s the fault of economics, not socialism. This post was mentioned on Twitter by ClickMediaWorks: RT @palatepress From Backwater to Next Big Thing? – http://b2l.me/fu58r (via @palatepress) BC wine, and why we can’t get it…. Oh, and most vineyard labour in the Okanagan runs between $9-12/hour. Marie, land prices were not always that high but taxation is based on current valuation and new startups have had to pay big costs. Luke, I did not say the governemnt was socialist. I said that the laws are antiquated. This has had a huge impact on the industry as they are no longer selling all their wine and have had to reduce prices. If they could diversify this would not have happened. BCLDB stores do not sell most BC wines, and it is illegal to ship them across provincial borders. Also, U.S. states w/ liquor monopolies do not have thriving wine industries. It is undisputable that the antiquated laws here are inefficient, unfair, and impede development. I would note that the ‘socialist’ part was added by Palate Press editors. I never wrote that in my original article. And, to clarify, I would add that a huge number of BC winery owners that I talked to consider the BC regulatory environment stifling, particularly with respect to distribution. Many wineries have customers in Alberta who simply illegally ship the wine across the border. Further, many wineries would like to sell in Ontario, but cannot without dealing with the LCBO (Ontario monopoly), which favours Ontario wines. Furthermore, only the huge corporations like Vincor have the power and money to distribute their wines more broadly. Visitors who walk into a government store here will find mostly large corporate BC wines and almost no small producers. This is because of the antiquated “listing” system that makes it difficult (and extremely expensive) for small wineries to list in government stores. Most prefer to sell direct because that is the only way for them to make money (since the government forces massive discounting if they try to sell via the monopoly stores). However, since wineries can only sell direct to BC consumers, when there is a market downturn, their market is completely undiversified and they feel the hit. The last couple of years have been the first years in BC’s history that the top wines here have no sold out. It is myopic to think that local demand will keep this industry afloat in the long run and will continue to spur growth. This is a huge shame. And, as for the labour costs, those numbers come directly from winery operators that I talked to. Some wineries may pay less for labour, but usually those that are doing high quality viticulture pay more. In any case, even at $9-$12, which is not what my sources told me the costs were, that is about double the cost of labour in California. I hope this clarifies what I was saying in the article. Wow, adding the word “socialist” – that’s quite an edit! It’s very true that occasions to find BC wines outside of BC are too rare. The Olympic promotion that will go into stores this Thursday in Quebec (see my post on The Wine Case –SAQ goes into Olympic mode: a showcase for Okanagan wines in Quebec) features 28 wines, and it’s the largest ever release done by Société des alcools du Québec, our state-run (but definitely not socialist) monopoly. It remains a rather small selection of what BC has to offer. It’s a good opportunity for BC to get a little bit of market share in Canada’s most important wine market (40% of all Canadian wine sales), although the pricing of some wines is, regrettably, well above the BC pricing, making the wines tougher buys. Mission Hill and Township 7, notably, have made efforts to ensure similar or even lower pricing of their products, and should be commended for that. 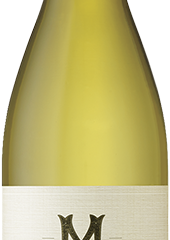 I certainly hope this release will lead to more sales of BC – and other Canadian – wines in Quebec. But let’s be clear: for all the reasons mentioned in Shea’s article, Canadian wine isn’t about to compete with Fuzion and other mass brands. That’s fine by me, but it also qualifies what can be achieved on other markets. Unless the laws governing interprovincial sales change, of course. Remy, thanks for your comments. That is very interesting about Quebec – do you know why prices are higher? Is it just gouging or is it freight as well? Also, your link seems to be broken – I’m curious which BC wines are being featured other than Mission Hill and Township 7. And, you are completely right – BC will never compete with the massive brands and huge production wines – but that doesn’t mean BC won’t benefit from diversification of their market. Basically a good synopsis of the situation but a few of points that need to be clarified. 1. Essentially the BC quality wine industry is less than 20 years old. We’re just newborns in the world of wine and still discovering ourselves. 2. As Luke says, the only Government barriers are inter-Provincial trade. BC wineries can export but again – to Luke’s point – our production volumes are too small for the buyers in US to consider as a viable product line. Just putting a case in each outlet in California would probably consume the entire output from the wineries for one year. 3. The Government does not have a monopoly on wine retail sales – it does have a monopoly on the wine wholesale trade for all alcohol products except wine. versus imported wine BC wineries gain significant competitive advantages by being able to ship directly to consumers and private sector retail. Plus the inter-Provincial barriers also restrain the market being flooded with, say, Ontario wine. In other words there has been considerable shelter to nurture the industry – Government protectionism is not always bad. At some point though we have to wean ourselves off it. 4. There are in excess of 600 private liquor stores in BC, mostly small. Government liquor stores total c. 230. According to a recent report about 50% of alcohol sales in the Province are made through the non-Government stores. 5. 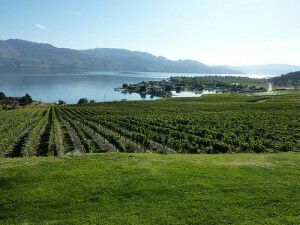 Historically, BC wineries have been able to sell, via their various channels, all their production within the Province. While it would be good not to have any trade barriers, if BC wineries can`t produce more to meet external demand then their customers who have loyally supported the industry will face shortages downstream as product is diverted to export. 6. Even today there are many BC wineries who will not sell to the private sector – or ration their product out so severely that its pointless to the retailer. Would removing barriers increase supply domestically? Not without increased production. 7. The `VQA`designation is a trademark of the BC Wine Institute – a trade association for BC wineries. While the membership does produce the majority of wine made from BC grapes about 2/3 of BC wineries exist outside of the association. VQA is not the only designator of a good and true BC wine. In the meantime, we are producing some splendid wines for such an immature area. If you are reading this from outside BC, then its a great reason to come up here and try them out. Sorry, typo. Point 7 should read 1/3 BC wineries exist outside the BCWI umbrella. Wow, that’s amazing that one word can change the meaning so much! And that was the word that got my attention for some reason. I totally agree that the wine laws in Canada need to be brought up to date. Honestly, I don’t have a problem with the state owned monopolies. What I don’t agree with is the limits on the freedom of movement of goods between provinces. The system needs to be changed to reflect the modern age rather than a time in the past that was reacting to prohibition’s black market. All good points, but in my opinion a little short-sighted on the potential impact of distributing BC wines more broadly. Yes, BC cannot supply all wine stores, but there are a willing supply of consumers in WA for example that want BC wine. It is not so simple as to say BC wineries can ship internationally. They can, but, because of the costs involved their wine prices are high. Additionally, the overall restriction on distribution impacts the diversification of their market within Canada, which I would argue is important. Further, the days of selling out BC wines in BC are long gone in my opinion. Lastly, the biggest short sightedness about thinking BC should be the only market (which I don’t think many wineries actually think), is that even if you only sold a few cases to top restaurants in NYC, London, SF (as, for example, Ontario’s Le Clos Jordanne does) increases the reputation of the winery and the region, therefore having an impact on tourism. More renown for BC wine means more drivers for tourism in the province means more wine culture means more tourist dollars, etc. The trickle effect on the entire wine industry in the province (beyond just the wineries themselves) would be tremendous. As to point 3 – It is too simple to just say government has a monopoly on wholesale for all liquor products. It also controls all licenses, controls all wholesale discounts, controls restaurant purchasing (which cannot be done via private retailers) and controls how agents are allowed to sell their wines in the province and how retailers are allowed to order. It is a far more comprehensive control than simply wholesale. And, yes, that is a good point about the VQA – it has been important, but it is now no longer the only guarantor of 100% BC grown grapes. Luke – glad it makes more sense now! I agree that government regulation is not inherently bad. I do disagree that a monopoly is good because I don’t think it likely that monopolies controlled by government can be run efficiently or fairly. Show me fairness and efficiency and a ‘freer’ market, then I might be open to the benefits of a monopoly. I’ve never seen that happen in the liquor market in any jurisdiction. Of course it is beneficial to moving beyond our borders and certainly essential for long-term industry growth. There is nothing to stop a BC winery establishing its wines in top restaurants NYC or London now if it so desired – except the time and costs to do so in finding a willing buyer. The inanity of the situation is that cannot do that in a Toronto restaurant! The extra Government controls impact distribution and pricing within BC only You are mixing up internal and external market arguments.If wine price is high because of your points about input costs (excluding taxes) then it stays high – relatively speaking – when compared against, say, WA wines. If our wine input costs make us uncompetitive in non-Canadian markets then we are dealing with a different issue, one of scale in particular. Remember there is nothing to stop a BC winery selling into a non-Canadian market today if it can find a market of willing buyers paying whatever price point it must sell at to make economic sense. FYI in 2008, Decanter listed some BC wines entered in the WWA as priced at c. 30% of their LDB shelf price ex-cellar. Not sure what, exchange freight, distributor mark-up and UK import taxes would do the end price point. Oh I know this for sure – the pricing issue is the biggest one. BUT, I do think the Canadian restrictions are the first step to broader market recognition in international markets where no one is asking for BC wine (yet). And, the general regulatory environment here stifles international competition in this market and puts a stopper on faster improvements to BC wine quality. I also did not mention the total lack of government support for improving vineyard practices in the province – but that’s another issue. to international markets. The main obstacles are small production volumes and high production costs making the wines uncompetitive on export markets. I have sold both Inniskillin & Mission Hill wines in the UK. Canadian Ice wine has both favourable production volumes and pricing for the category and thus makes it an attractive proposition for global fine wine retailers. Hence there is market demand. You are right of course, but as you mention there are no government initiatives (such as lower taxes) to help growers export and compete internationally (like Australia does) and when added to the internal legal restrictions on inter-provincial shipping, the environment is one that essentially makes it nearly impossible for anyone to get their hands on or taste the majority of BC wines. Shea, here’s a shortened link to my “Olympic” post: http://winecase.ca/r0y. The February 11 release has a nice selection: Joie Farm, Laughing Stock, Le Vieux Pin, La Stella, Township 7, See Ya Later are all first-timers at SAQ, on top of the Mission Hill, Sumac Ridge, Jackson-Triggs Sun Rock and Quail’s Gate selections. About the prices of the BC wines released to Quebec this week, it depends on the winery and the wine. Oculus and Compendium, from Mission Hill, are actually lower-priced in Quebec than at the winery. Township 7’s wines are close to the same price as in BC. La Stella and Le Vieux Pin are well-above their cellar-door price. Differences in price depend on the wholesale prices that the wineries agreed to offer, and the fees grafted on by agencies. Obviously, some wineries and agencies take bigger margins than others. Now (and this will interest Paul as well), the fact that wines in BC are usually significantly more expensive than in Quebec (I’ve seen 23$ wines at SAQ sell for 30$ at the BCLDB) tells me that getting the same price in Quebec as in BC should be achievable – and easier than for Ontario wines, where prices are marginally lower than in Quebec. I don’t want to underestimate the price pressure for the wineries, though: achieving the same retail price in Quebec than in BC requires wineries to sell wholesale to SAQ for a fairly low price (probably around 40% of retail). For wineries that sell most of their wine at the cellar door, this can be rather hard to swallow. Larger outfits like Mission Hill and Vincor, who have bigger volumes but also own their agencies/distributors, can be more accomodating to the pricing structure. I was once told by a very successful winery in California that for them, selling outside California was more of a brand-building operation than a profitable sales channel. This is probably true for a number of Okanagan wineries who sell out of their wines easily through direct sales. I can understand that they would pick revenue over brand-building. Well it looks like you’ve hit a nerve. Good to see people care this much! 1. Yes, land is expensive here and for non-estate vineyards, growers are often getting top dollar for mediocre grapes. Low yield is a factor in the pricing as well. I also think that with some wineries, “high” prices are a result of a their business model being based on protectionist advantages over imports and the fact that for a long time, demand outweighed supply. That is proving to be shortsighted, because there are now many wineries with back vintages to sell. 2. Many boutique BC wineries for years wouldn’t sell to retail. Partly because of low production, but also partly due to the fact that retail buys at a higher discount than restaurants and when demand outweighed supply, they took the highest short term profit scenario. That is proving to be shortsighted, because there are now many wineries with back vintages to sell. Some of these same wineries can’t offer enough to retail these days. 3. The inter provincial trade barriers are ridiculous and have to go! Plain and simple. 5. 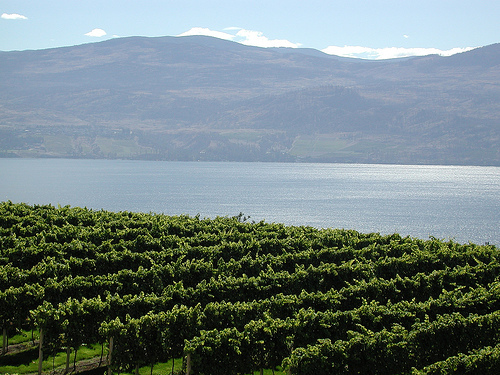 VQA ensures place of origin and provides excellent marketing for BC wineries. Both very important. Let’s be clear, I don’t care if there is a testing process and a tasting panel, they are formalities. VQA has ZERO to do with ensuring quality. VQA can be important again, but right now, it has not been able to keep up with the growth of the industry. 6. We are in our infancy here and we will continue to grow. NAFTA took away a level of protectionist advantages and the industry needed to get stronger to compete and the wines got better. I think we are at that stage again. It’s kind of like stressing a vine to make it stronger. I think we need to stress the local industry to make it stronger. That’s a great summary of points and I completely agree.